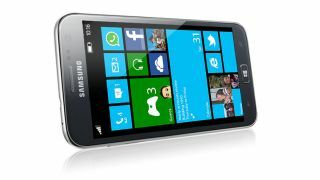 Windows Phone 8 release date: when can I get my new phone? With the announcement of the Windows Phone 8 prices, you'll be pleased to know you won't need to wait long to get your hands on one. But with a plethora of phones on offer, and a number of networks promising to thrust them into your hands, how much will you need to fork out and how many days will you have to count down? The HTC Windows Phone 8X UK release date has been set for 2 November, but the rest of the phones will be available on multiple networks and retailers later in the month it seems. This is the first Windows Phone 8 handset we've subjected to our intensive testing (see the HTC 8X review to get an idea what's going on) and is a slightly more expensive option thanks to the Beats Audio power and improved design. If you want to get your hands on the phone, pre-orders are now open for the HTC 8X, with a release date of 2 November being touted from the likes of Phones 4U, Three and Carphone Warehouse. The little brother to the flagship Windows Phone 8 handset is proving a hit with the networks, with most choosing to range the new device. With it's amp-less innards and lower spec, it's certainly one of the cheaper choices on offer – but just how much will it cost you? This is the phone that most people are excited about – and for good reason, given the huge plethora of technology on offer inside. Be it wireless charging, the ability to text with gloves on or the Puremotion HD+ screen, it's got a lot going for it. However, here's the rub: it will be an exclusive to EE (thanks to being the only 4G Windows Phone 8 handset) and will therefore cost a boatload to own. Sad times. The little brother to the Finns' big hitter, the Lumia 820 offers some similar features but skimps on a few specs to keep the cost down. You'll be able to chuck on a range of cases (including the ability to wirelessly charge) and a more-than-half-decent camera to boot – great for those on a budget, although it's not the cheapest on offer by far. The 'under the radar' member of the Windows Phone 8 clan (thanks to only just being shown off in any kind of shape to the prying eyes of us journalists) it's been dubbed the Windows Phone 8 Galaxy S3… and that's a pretty good mantle to have. It's thin, light and comes with a whopping Super AMOLED screen… this could be the underground hit for Microsoft if ever there was one, despite the fact not many networks are stocking it (read: O2).